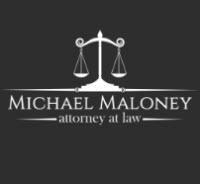 The Law Office of Mike Maloney in Weatherford has provided aggressive criminal defense representation and skillful, sensitive family law advocacy for more than 40 years. Mike Maloney has practiced law in Texas since 1974, including a stint with the Tarrant County District Attorney's office. In 1980, he established his law firm on behalf of the injured and accused, protecting these clients' interests with commitment, integrity and professionalism. Mr. Maloney has successfully negotiated and forcefully litigated criminal law outcomes in state courts, in cases involving drug crimes, DWI, felonies and probation violations. On the family law side, he works hard to smoothly navigate the legal system for a diverse clientele — for example, couples seeking a divorce, divorcing spouse embroiled in property division dispute and custodial parents planning to move themselves and their children away from Texas. In addition to criminal defense and family law, other practice areas in which our law firm is involved are personal injury, for clients suffering serious injuries in accidents, and immigration advice for families and businesses. Residents of Parker, Palo Pinto and Tarrant counties are encouraged to contact our experienced lawyer when divorce legal issues arise, or when criminal defense help is needed. Initial consultations are free of charge.